lawn mowers Archives - Black Creek Services Inc. 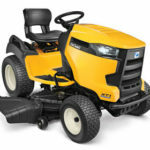 When it’s time to buy a new lawn mower, and you live in the Jacksonville, Florida area, here are a few tips to help deciding which to choose. 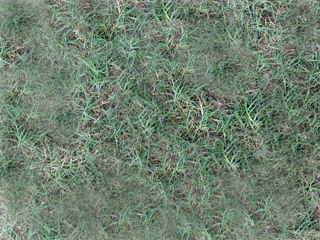 Depending on the type of grass you’ve chosen for your lawn, the mild winters we enjoy in northeast Florida mean you may be using your lawn mower from late fall to early spring, to keep your slowly growing lawn from looking shaggy and uneven. 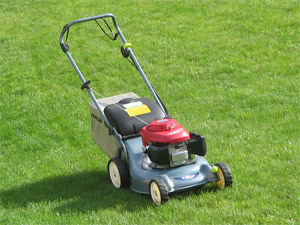 And if you do use your lawn mower year-around, buying a lawn mower to suit your needs is even more important. The operator provides the power to move these lawn mowers, and can burn off a good amount of energy while mowing an average lawn. Many lawn mowers have Safety Brakes installed on the handle bar, so that when the Brake lever is released, the blade stops. Cut Width of the lawn mower tells how wide a path of grass will be cut by each pass of the lawn mower; the wider the cut, the less trips it takes to mow the lawn. Height adjustment levers (usually one at each wheel) allow the operator to adjust the height of the lawn mower cutting blade; cutting too close to the ground can hurt the grass, cutting too high can mean shorter times between mowing. Recoil start lawn mowers have a traditional rope which is pulled by the operator to turn the engine over and start the engine. 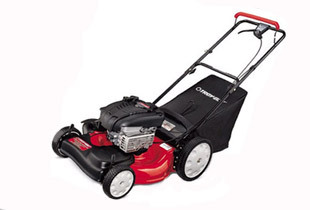 Electric started mowers are started by turning a key to complete an electrical circuit and start the mower engine with a small battery which is mounted on the lawn mower. 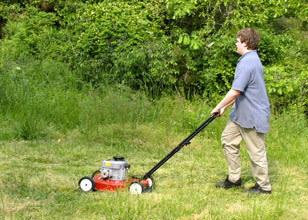 Recoil start lawn mowers take more physical energy to start. While it is much easier to turn the key for an electric start lawn mower, the lawn mower batter will need periodic maintenance to provide easy starting. 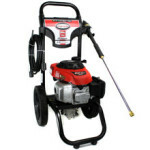 Many electric start mowers have recoil start capability, in the event the battery runs down. Side discharge lawn mowers are the most common, basic lawn mowers; as grass is cut, clippings are ejected to the side of the mower, left to settle to the ground and decay back into and nourish the soil. Rear discharge lawn mowers are also known as rear bag lawn mowers, because the grass clippings are discharged to the rear of the lawn mower deck, into a removable bag. 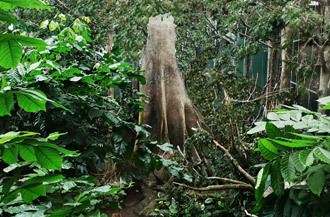 When the rear bag is sufficiently filled, the clippings can be dumped into a compost heap or recycled by the community, with other yard waste. Rear (bag) discharge lawn mowers tend to leave the lawn with a cleaner appearance, as apposed to the layer of clippings left on a lawn by side discharge lawn mowers. The lawn mower propels itself, the operator has to steer the lawn mower. The operator still uses energy to steer the mower over the lawn. If the lawn to be mowed is medium to large in size, a self-propelled lawn mower can be a real asset. Some self propelled lawn mowers have swivel wheels at the front of the mower deck, which makes the mower easier to maneuver. Rear wheel drive gives better traction control and maneuverability than front wheel drive self-propelled lawn mowers, because the operator has to lift the front wheels of the lawn mower to make a turn. Adjustable speed settings allow the operator to speed up or slow down the speed the mower is going over the lawn, to meet the conditions of the lawn, and to help the operator find a suitable, maintainable pace for mowing. Many self-propelled lawn mowers have an engine shut off built into the handle bar, so that when the operator lets go, the engine shuts off. It’s a good safety feature. Many lawn mowers also have Safety Brakes installed on the handle bar, so that when the Brake lever is released, the blade stops. Which ever lawn mower you buy, to keep it running like new, follow the manufacturer’s instructions for periodic maintenance. Save time; let Black Creek Services provide professional lawn mower and lawn tractor periodic maintenance. Call Black Creek Services, Inc. 904.449.3986 for a free estimate. 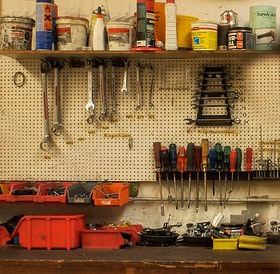 We provide mobile and in-shop repairs, and provide pickup and delivery services. Call Black Creek Services 904.449.3986 for someone you can trust when you need lawn mower repair and lawn tractor repair. Some people don’t pay much attention to their lawn mowers and lawn tractors until they are ready to mow their lawn. Then, when the mower won’t start, or runs a little and then dies, they need someone to get their mower fixed and get that lawn mowed before it becomes a jungle out there. 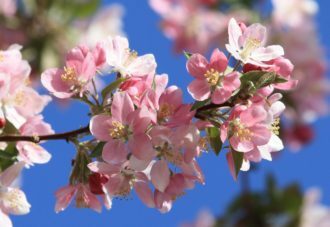 More and more people are thinking ahead, and getting their lawn mowers and lawn tractors serviced when the weather starts to warm up and the grass starts growing again, so they are ready to go when their lawn needs a trim. Black Creek Services helps people in the Jacksonville, Florida area get their walk behind Lawn Mower and Lawn Tractors running again in our Middleburg, Florida shop. Pickup and delivery service is available. Other times, if your mower won’t start, it may need repairs. Black Creek Services has almost 20 years experience in professional small engine maintenance and small engine repair, including lawn mower repair and lawn tractor repair. Jimmy Stockton, owner of Black Creek Services, has helped a lot of people in the Jacksonville, Florida area keep their small engines performing well and even bring some of their dead lawn mowers and lawn tractors back to life. For most equipment, our regular Lawn Mower or Lawn Tractor Service will get your Lawn Mower or Lawn Tractor running again. And we will be just as happy as you if our Service Special is all that needs to be done on your equipment. Sometimes, your small engine-powered outdoor equipment needs some additional work to get it going again, and if so Jimmy will explain the problems he has found, and give you an honest recommendation for what work needs to be done, an estimate of how much it would cost, and what he advises for your particular equipment. So if you live in Jacksonville, Orange Park, Fleming Island, Green Cove Springs, or Middleburg, Florida, give Black Creek Services a call at 904.449.3986 for Lawn Mower and Lawn Tractor service and repair. Black Creek Services, Inc. offers mobile lawn mower repair and mobile lawn tractor repair in the Jacksonville Florida area. We’re talking Jacksonville, Orange Park, Fleming Island, Green Cove Springs, and Middleburg, Florida. It is frustrating enough to have problems with your lawn mower or lawn tractor when you have a lawn to mow, but even worse when you have to load your mower or tractor into your truck and take it somewhere to get it fixed! And even worse if you have to borrow or rent a truck to get your lawn equipment to where it can get worked on! 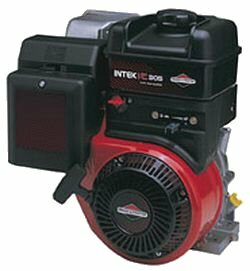 Black Creek Services, Inc. is a different kind of small engine service provider. We provide mobile (on-site) repairs and maintenance and real time diagnostics. 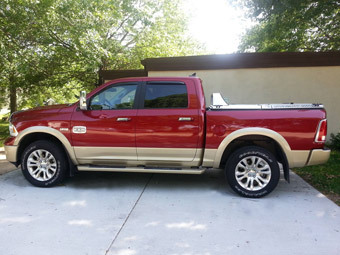 If we need to perform the repair work in our Middleburg shop, we provide pickup and delivery service, too. We can handle anything from routine maintenance service to more complicated repairs. Call Black Creek Services, Inc. 904.449.3986 with your lawn mower or lawn tractor problems. If you need mobile lawn mower repair or mobile lawn tractor repair, we look forward to helping you get your lawn equipment running well again! Regular lawn mower maintenance helps prevent problems, and lengthens the life of your lawn equipment. But even with regular maintenance, there can still be surprises. * * Before you start to work on your lawn mower or lawn tractor, remember to Always review and refer to the operator’s manual for guidance specific to your lawn equipment. > > If you have a Battery Started lawn mower or lawn tractor, and nothing happens when your turn the key, your battery may need to be re-charged or replaced. 2. When’s the last time you cleaned or replaced your Air Filter? Your air filter should be replaced or properly cleaned at least once each mowing season (which can mean once each year, here in Florida, where some of us have to mow our lawns all year around). Take a look at your air filter, if it looks like time for a change or cleaning, it’s time. 3. The problem may be in your Gas Tank. (Ethanol/Gasoline blend fuel goes “stale” in about 30 days, according to the technical advice of Briggs & Stratton.) 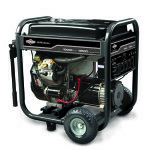 If you don’t use a fuel treatment like Briggs & Stratton Fuel Stabilizer, replace the gas in your tank with fresh fuel. 4. Check your Spark Plug. Good maintenance practice is to replace the spark plug in your mower each year. If you already replaced your spark plug this year, check it for being fouled/dirty, loose, or even a spark plug wire that’s disconnected. If you try these quick steps, and you still can’t start your lawn mower or lawn tractor, call Black Creek Services 904.449.3986. We may be able to provide a suggestion to get you started again, over the phone. 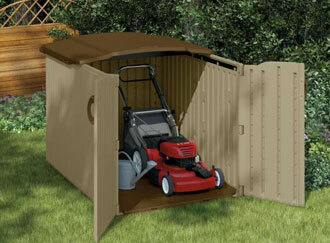 If you need help to work on your mower, Black Creek Services does mobile and in-shop maintenance and repairs. Black Creek Services uses quality parts and materials during small engine maintenance service and any repairs. Black Creek Services, Inc. has built a reputation for providing reliable, quality small engine service for people living in Middleburg, Fleming Island, Orange Park, Green Cove Springs, and all around the Jacksonville area, and we want to keep it that way. When you are having a problem starting your lawn mower or lawn tractor, Contact Black Creek Services, Inc. 904.449.3986. 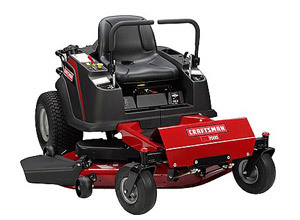 Is your lawn mower or lawn tractor giving you a rough time when you need to mow your lawn? If your lawn mower is hard to start, runs rough, or won’t even start at all, you can get quality lawn mower service for your lawn mower or lawn tractor from Black Creek Services, Inc. of Middleburg, Florida: 904.449.3986. Our prices are reasonable and competitive. If we can’t fix your problem, we won’t waste your time or your money! We provide real-time diagnostics. 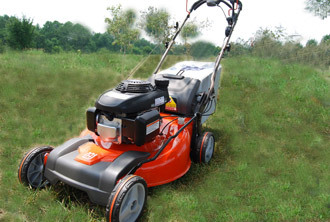 We have mobile and in-shop lawn mower and lawn tractor repair service. 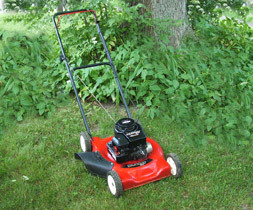 Many times, just these four steps gets your lawn mower running properly again. Let us help you be able to enjoy mowing your lawn again! 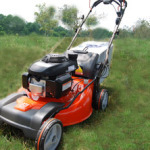 We provide our lawn mower and lawn tractor tuneup and repair service in Middleburg, Orange Park, Green Cove Springs, Fleming Island, and Jacksonville, Florida. Call Black Creek Services, Inc. 904.449.3986 for an appointment to get your lawn mower or lawn tractor performing like it should.